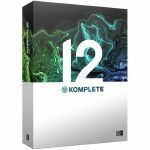 Notes: Komplete Audio 1 is a simple, great-sounding audio interface with all the software you need to put ideas into action. From recording songs, to mixing down and playing out - it helps you go from a spark of inspiration, to finished results you can be proud of. Easily record vocals, guitar, or any other instruments straight into your DAW in high quality. With Ableton Live 10 Lite, synths, and effects included, you've got everything you need to create songs. Whether it's a beatmaking vlog or a podcast you're creating, the interface give you everything you need. Record speech in high quality, then give it a pro touch of mastering with the included plugins. Take your music to the bar, club, or anywhere else. Bag-friendly sized - it's a simple way to incorporate a laptop into your performance. Make quick, on-stage level adjustments using the big volume dial. Break out of the box - bring synths, effects, and other gear into your productions. Flip samples from stereo sources. And polish your productions with studio-grade instruments and effects included. Perfect for recording mono sounds like vocals and guitar at the same time. It gives you two different inputs - XLR for vocals, and jack for guitars or other line-in sounds. Plus, stereo RCA outputs let you connect directly to hi-fi speakers and play everything out loud. The Audio 2 makes capturing stereo sounds a breeze. It's the same fantastic sound quality as the Audio 1, with a bit more flexibility. Plug in a pair of mics together using the two combi-XLR/jack inputs. Connect to studio monitors, or plug in on stage with dual jack outputs. Notes: Butter Rugs are made of a distinctive synthetic material with no added plastic or wax coating. The reduced friction between vinyl and platter minimizes additional noise and gives you more responsive control. Step up to the executive-class of slipmats! Notes: Whether it's bass-heavy breakdowns, steppy synths, or peak-time rewinds that define your style, the TRAKTOR KONTROL S2 has everything you need to make your mix happen. Craft sets on two decks and get creative with easy-to-use tools like looping, beat syncing, and club-grade effects. Turn the music you listen to into the sets you play, with a streamlined interface that makes blending tracks a breeze. Plug in, line up a few of your favourite tracks, and get mixing wherever you are. You can leave the beatmatching to TRAKTOR, so you have more time to pick tunes that fit the vibe, experiment with FX, use looping and remix decks, and to define your own sound. Whether you're at a house party, a bar, or the club, you can create mixes made to make you move. The perfect way to really ramp up your mixing, with eight RGB pads on each deck. Cut straight to a hook everybody knows by setting and triggering cue points, or punch in your own edits with samples on a Remix deck. Upsized, touch-sensitive jog wheels let you cue, scratch, and nudge tracks much more accurately - not to mention perform bigger backspins. They also mean more fun getting hands-on with your music. A familiar club-standard layout, wherever you go. Browse tracks, adjust beatgrids, use effects and features like Flux Mode, directly on the TRAKTOR KONTROL S2. Everything you need for creative mixes at your fingertips. Turn up your track transitions with new Mixer FX: Cut bass with a filter instead of EQ for resonant kicks, or get hi-hats galloping with delay. A choice of eight effects and three filters ensures you always have the right tools to hand. Scale up your set with Steams and loops. Trigger one-shot sounds and samples to inject new energy into your mix. Whether it's bass-heavy breakdowns, steppy synths, or peak-time rewinds that define your style, the TRAKTOR KONTROL S2 has everything you need to make your mix happen. Craft sets on two decks and get creative with easy-to-use tools like looping, beat syncing, and club-grade effects. Notes: TRAKTOR KONTROL S4 lets you connect with your tracks in entirely new ways: Not only do its motorized jog wheels spin and react to nudging, scratching, pitch-fading, and backspins, they transmit cue points, loop markers, and more direct to your fingertips. And with RGB LED rings and high-res colour displays keeping all the info you need front and centre in the booth, everything you need is right where you need it - so you're free to focus on your mix. Haptic Drive gives you a new kind of feedback on touch-sensitive, motorized jog wheels. Change the torque and start/stop times to suit any DJ style - whether you're a laid-back beatmatcher or backspin aficionado. Get closer to your music in three modes - Turntable Mode, Jog Mode, and Beatgrid Adjust Mode. Spinning jog wheels in Turntable Mode let you nudge and scratch like you would with vinyl. Or use classic Jog Mode for spin-to-nudge response. Because you feel loops and cue points as you scroll past them, you can line up tracks in a second and let your fingers do the mixing. Beatgrid Adjust Mode lets you adjust the track's Beatgrid on the fly, so you're always in sync. RGB light rings around each jog wheel deliver quick, responsive tempo and nudging visualization on each deck. DJs using four decks can stay on-track with jog wheel color-coding, and track-end warnings make sure you're never caught out. Easy to use and instant - Mixer FX give you control over club-grade filters, delays, gates, reverbs, and more. They're great for big transitions, or to accentuate and control the nuances and ambience of your set - depending on the dancefloor. Use them either on their own, or in combination with the usual TRAKTOR Deck FX for fun ways to shift your sound. Create quick and evolving mixes with everything you need in one place. Each high-resolution display shows track, key, tempo, looping, Hotcue, and waveform information. Control Stems and samples directly with dedicated controls, and access powerful software tools at your fingertips. Upside-down carbon strips in our revised fader design mean better protection from liquids, dust, and other substances, because they no longer fall onto the conductive carbon surface. It's a simple trick that makes a big difference to their durability - especially in a world of DJ-booth drinks and packed-out dancefloors. The TRAKTOR KONTROL S4 is equipped with an integrated, club-grade 24-bit / 96-kHz audio interface, with external input options on every channel. Connect turntables for crate-diggers, drum machines and synths for hybrid wizards, or anything else you can think of to push the boundaries of your mix. When connected to TRAKTOR PRO 3, the software adds headroom to the signal, before TRAKTOR KONTROL S4 gives it an analogue boost - meaning better sound at club levels. Audio engine improvements and a redesigned user interface make TRAKTOR PRO 3 the best-sounding and most powerful version yet. 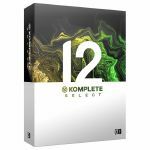 Dig into extensive re-editing and mixing possibilities with loops, Hotcues, Flux Mode, samples, beat-syncing, and the industry's largest FX suite - for easy experimentation and soundscape creation. Notes: The Traktor Kontrol Stand gives you optimal placement of your Traktor Kontrol F1, X1 or other controllers for solid performance. 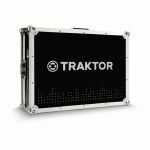 Its extruded aluminium profile provides an extra-solid base and raises your Traktor Kontrol unit to industry-standard height, perfect for the Traktor Kontrol Z2 mixer. Molded rubber locating pins perfectly align the X1 or F1 and prevent sliding during performance. TheTraktor Kontrol Stand is just as seential on the road as it is in the club, doubling as a case for your Traktor controller. The cover's unique constructin keeps your hardware's control panel protected during transport. Also included is a Natie Instruments microfiber bag so you don't have to sacrifice style for peace of mind from gig to gig. Notes: Already the standard for performance DJ controllers, the mighty Traktor Kontrol X1 delivers as much power as portability controlling Traktor decks and effects. Whether DJing all-digital, or using time code control, the new X1 now delivers added instant control over all essential DJ functions on 2 track decks for seamless command of Traktor software and a design that feels instantly familiar. A new tactile touch strip brings you closer to the music without ever having to reach for your turntable or CDJ -perfect for quick, precise nudging, track seeking, or loops and effects control. Traktor Kontrol X1's eight knobs and buttons control up to three effects on two of the four effect units. An ultra-intuitive layout puts browse, cue, sync, and loop controls right where you need them while touch-sensitive browser and loop controls provide smart software navigation. Pro-grade, RGB back-lit buttons and displays give instant visual feedback during your set - direct, fluid communication with TRAKTOR PRO or TRAKTOR SCRATCH. On the fly remixing has also never been easier as direct access to Traktor's Flux mode now allows you to juggle cue points and loop effects without missing a beat. Control one or both decks simultaneously. From nudging or needle dropping, to quick access playback functions like track seeking or loop length, the touch strip's default settings instantly adapt to match your needs - your fingers do the rest. Boasting reactive performance behaviours, Traktor Kontrol X1 takes care of the details behind the scenes. The advanced Browse and Loop encoders respond to touch and command TRAKTOR to access different views or functions - just touch the Browse encoder to see the full-sized Browser list. Touching the Loop encoder while holding SHIFT+PLAY lets you see the key of your track. Touching the Loop encoder while holding SYNC lets you see the tempo. The touch strip also interprets functions based on deck status - when stopped, it's assigned to track seeking or needle dropping. When playing, pitch bend is activated. For your own trademark sound, assign the touch strip to control any effect parameter in seconds. Traktor Kontrol X1 features smooth, ultra-precise buttons and knobs - all pre-mapped for instantaneous setup, keeping you laser-focused on performance. Whether you're looking for a effective tool to boost your creativity or a stylish one-stop solution for maximum portability and power, the next generation X1 ticks all the boxes. Notes: Traktor Kontrol Z1 is the ultra compact 2 channel mixer, controller, and soundcard for Traktor DJ and Traktor Pro 2. Its cue section lets you monitor and mix tracks with pro precision. Dedicated controls for two channels give you intuitive, tactile control over volume, EQ, filters, and effects. And the built in audio interface delivers powerful, club ready sound. Get total control and professional sound in a go anywhere package - It's pro on the go! Want to deliver floor shaking DJ sets with Traktor DJ? Connect your iPad or iPhone to the Z1 and get a complete two deck DJ setup with ultimate tactile control. Cue up the next track in your headphones while the current track still plays for the crowd. Mix and EQ with pro grade faders, knobs, and buttons. Apply filters and effects with the ultra intuitive one sweep knob. Traktor Kontrol Z1 works perfectly with Traktor Pro 2 - plug in and instantly start mixing with hands on control and premium, club ready sound. You can also expand your mobile rig with additional creative possibilities: Add Traktor Kontrol X1 to control effects, loops and transport functions like play and sync, and Traktor Kontrol F1 for creative remix deck magic. Whatever your style, build your setup around Traktor Kontrol Z1 and rock the club or after party with the most compact, portable Traktor system ever. Notes: The Traktor Scratch A6 is the straight-up digital vinyl system for spinning MP3s using super-tight vinyl and CD control. The included Traktor Audio 6 interface, timecode vinyl and CDs, and the flagship Traktor software provide pro credentials at a very attractive price. The Traktor Scratch A6 is designed for DJs who need rock-solid performance, amazing audio quality and incredible ease of use.The included Traktor PRO 3 software with Remix Decks allows for a new level of creativity, seamlessly merge the worlds of DJing and live performance. Powered by the Traktor Audio 6 interface, you can also expand your setup to include the Traktor Kontrol F1 for ultimate and intuitive control over the software's Remix Decks. Get ready to unleash the full sonic potential of your tracks thanks to the included Traktor Audio 6, the high-gain audio interface for DJs who demand premium sound quality and extra-loud output. With 6 inputs and 6 outputs, the TA6 is destined to be the centerpiece of your live or studio setup. And if you're looking for even more connectivity and a MIDI port (e.g. for MASCHINE sync), check out Traktor Scratch A10. It's never been easier to spin digital files. Hook up the system in seconds thanks to the plug-and-play hardware and software integration. The software interface features an easy-on-the-eye Essential View, focusing on the important elements. Innovative TruWave colored waveforms let you see your tracks like never before. With full iTunes integration, iPod compatibility and Crate Flick cover art browsing, selecting your tracks is a cinch. The included SoftSync feature gives you optional help in beat-matching. The Traktor Scratch A6 offers an advanced selection of creative features for developing and defining your own trademark sound. Super-intuitive looping and cueing functions have been further enhanced with the addition of Remix Decks for integrating loops and one-shot samples into your sets. 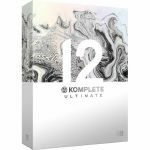 Store your favorite loops in the library, along with the included loop content, and open up another dimension in creative DJing, easily remix and re-edit tracks on the fly. Use the exclusive scratch sounds to spice up your routine and rock the 6 studio-quality effects which, thanks to the additional ins and outs on the audio interface, you can route like an external effects box. The newly developed Native Scratch technology features Traktor Scratch MK2 timecode vinyl and CD control for the next step in tight timecode performance. Spin super-precise 2 kHz control signal on 120g vinyl, it feels just like your digital track was cut to a 12" and with the innovative vinyl marker stickers you get clear visual reference at all times. Alternatively, use your CDJs with Traktor MK2 timecode in relative mode, and stay ahead of the competition, with Traktor's loops and hot cues and your CDJs' cue and manual looping functionality, you get the best out of both systems.